The Defensive Focus Shooting Program is an Intuitive shooting program designed to help the student be more Efficient with a defensive firearm in the context of a self defense incident. 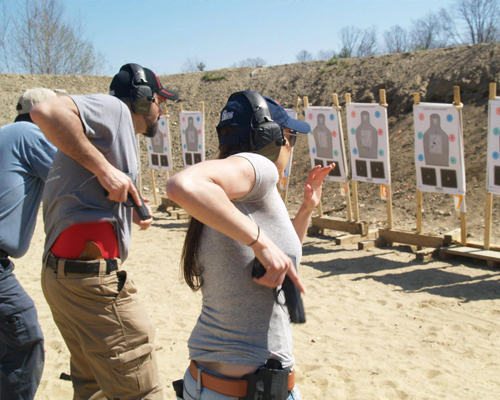 The Defensive Focus Shooting Course is designed to make you a better shooter, as well as help you quickly develop fundamental skills that you can apply in a worst case scenario, defensive shooting situation. See http://combatfocusshooting.com/ for more details. This class requires drawing from the holster and shooting while moving. If you do not feel comfortable with these skills please take Introduction to Defensive Focus Shooting and Fundamentals of Defensive Focus Shooting before taking this course.